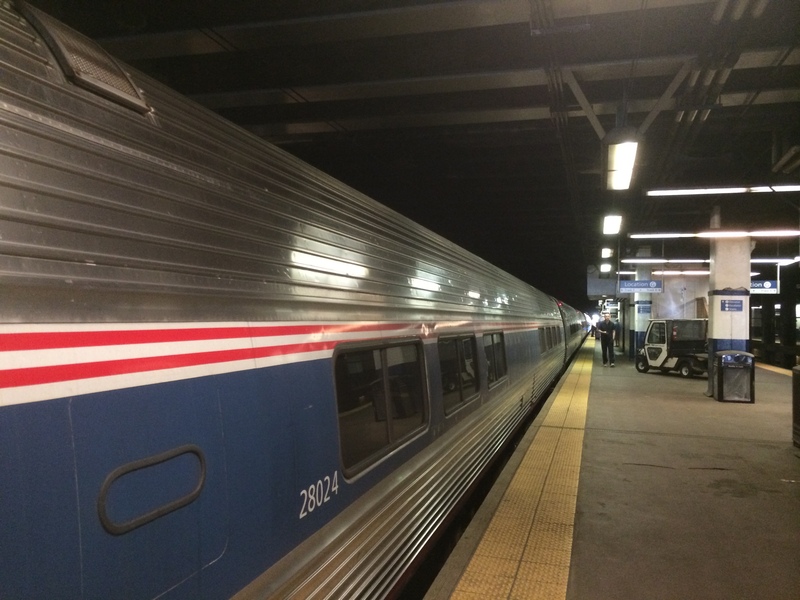 Today is a travel day – I’m headed from Pittsburgh to New York City via Amtrak. I am up at 05:30 for breakfast with my parents (IHOP!). The sleep wasn’t plentiful but it was all I needed. I’m pretty amped and I always have trouble sleeping on nights before I leave for big trips. (I always put a significant amount of mental effort toward not drowning in anticipation of exciting events as long as I am able, or the rest of my life would become a purgatory I make for myself). I get a ride from dad into the city and find my train – there is only one in the station – to New York. The ride is spectacular – I chose a window seat upon embarking and it’s provided me some good views along the way: gorgeous forested hillsides, the Horseshoe Curve at Altoona, dilapidated towns, Amish farms, and broken railway stations. For me, the hours really melt away on train rides. The end of a five-, six-, or eight-hour train ride seems to arrive after more enjoyable transit and is less painfully earned than does the landing at an airfield only sixty minutes from where I depart. I can get up, wander, meet other passengers – almost all of whom are in high spirits – and stay mobile – it seems the opposite (in all of the right ways) of the best of airplane rides. One of the best perks of all: coffee and other drinks are free to first-class passengers, and because I’m very fancy, I am counted among these. I am positively excited about arriving in New York, in part because I am so tired at this point that all I want is a shower and a bed. Upon exiting the train late in the afternoon, I am invigorated with the continuous motion of the station. People are moving quickly from one place to another, and I join the herd, never pausing as I read the signs directing me to street level. Near the exit, there is a line for the escalator, and I dash up the three flights of stairs up to the street. About halfway upward it strikes me that I’m bound to develop some muscle from carrying this 35- or 40-pound pack around New York and then Europe. It’s over 90 degrees Fahrenheit with a high level of humidity. I halfway-regret my decision to bound up the stairs while carrying this pack. After Thai food on the East Side with a friend of a few years back, I make my way to Queens and my hostel. 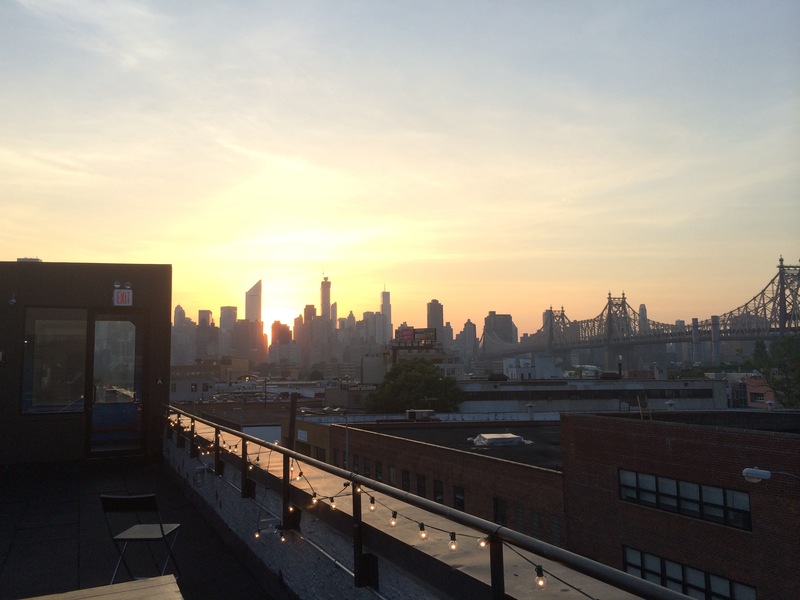 I spend five hours on the rooftop terrace, staring at Manhattan and chatting with other travelers. My early bedtime is a forgotten dream amidst my excitement for the days and weeks to come. Tomorrow, I leave the U.S. for Germany, and I am now in full-on anticipation mode. I am counting the minutes to my arrival at Tegel Airfield. 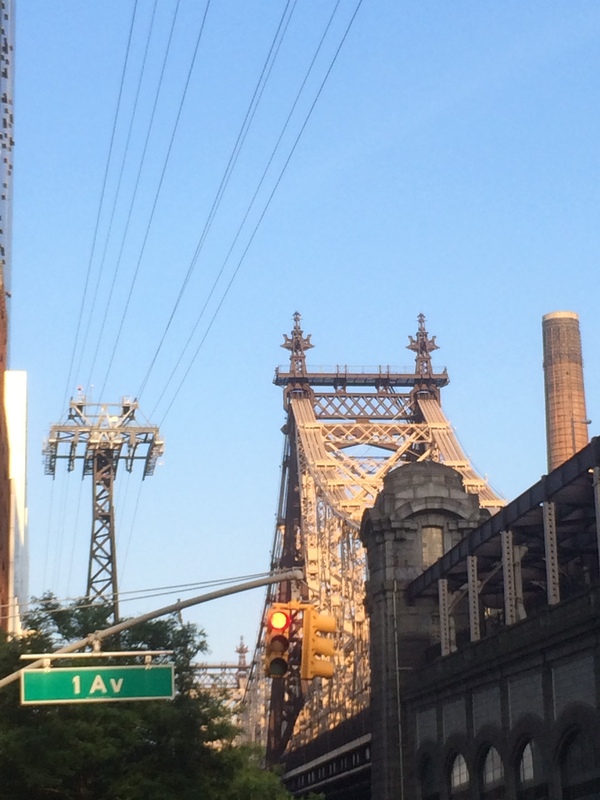 This entry was posted in Travelogue and tagged new york city, pittsburgh, travel, travelogue. Bookmark the permalink.